A tweet about white privilege and being offended by it was retweeted though, removing the usual protection filter. I didn’t care. I was too busy hurting for Sandra Bland, for Kindra Chapman, and their families and for collective blackness to care. I was too busy reeling from another black death. It was happening again: another black person gone from trivial circumstances. This time, a woman, and we know that black women’s death under any circumstances can and has been so easily forgotten. 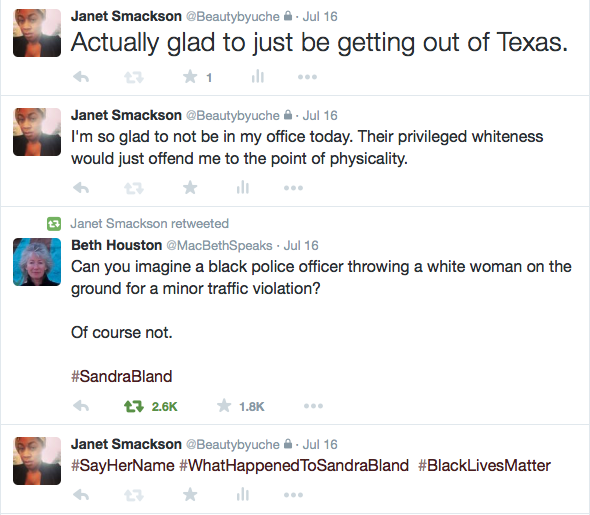 I was committed that day to saying her name: Sandra Bland. It means that you are intolerant to any microaggressions and will listen when the person of color in your office speaks up about it. You will create dialogue and action because that is what is required for true inclusion. That didn’t happen in my office on multiple occasions, but I kept working there. The majority of the time I kept my mouth shut when it came to questionable statements in the office. I did speak up when I was asked about Patricia Arquette’s commentary at the Oscars, which turned into an all day conversation summed up by the phrase “meant well.” I spoke up when a person of color’s name was said to make them incapable of being taken seriously. I specifically addressed this, not because of its personal foul to me but because those kinds of comments have power when voiced by white bodies and implicate flagrant bias. Maybe I should’ve never said anything. 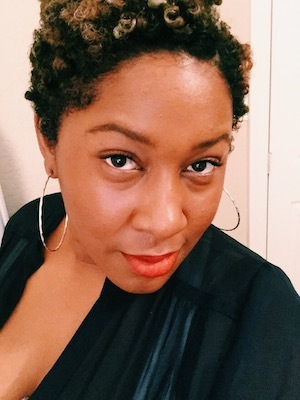 Maybe I should have kept my head low and just kept my job and let the racism go unchecked because hey, I was employed, had bills and “White folks don’t care no way.” That’s the way it is when you are the “only.” That’s the choice or so I’ve been told over and over in the wake of my layoff. It’s the choice most marginalized persons find themselves making. Accepting environments that are dismissive and most often intolerant of their pain due to financial need and/or limited options. Your economic stability is dependent on how you operate in what could be considered a hostile environment. An environment of constant microaggressions, confusing social interactions and unapologetic cultural insensitivity. Have the nerve to challenge it on any level? You could be fired. Don’t challenge it and still end up fired because of being deemed a threat. I had the audacity to challenge it because I was led to believe this company was open to that. It wasn’t. I’ve come to the conclusion that people of color deserve to be in a work environment where we don’t have to be silent in the face of social injustice for the comfort of others. We deserve to not live in silence and fear of losing our job if we challenge racism. We deserve culturally inclusive environments free of unchecked and often flagrant racism. 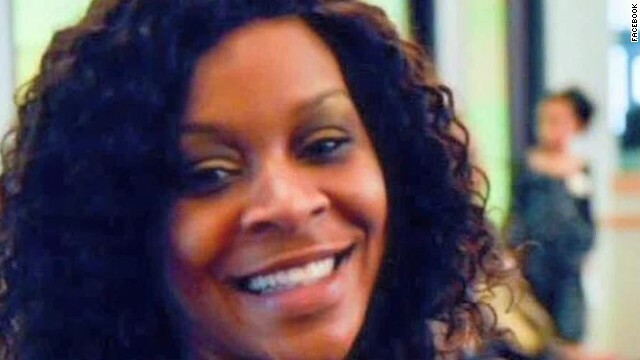 We deserve to be heard so that those with privilege can understand that their oblivious indifference and unconscionable dedication to white supremacy is the very same violence that caused Sandra Bland’s death and so many others. The same people who claim to support and exalt diversity, and who claim they “don’t see color” are the same people whose silence hurts even more than my defending my right to be comfortable alone in a culturally white space. Those who insist on my silence as a means of comfort in their existence. Those whose privilege is so intertwined with my oppression, the idea of my pain never even causes a question of consciousness or a hint of human empathy. Those whose racism shows up as complicity, duplicitous and is out of integrity with who they claim to be. Let me say this. I don’t have any evidence that my job fired me for that tweet. This is just a feeling in my gut. It seems strange to me that they would award me projects one week and then lay me off the next. That they would hire someone a week prior to letting me go. That I wasn’t hired to have billable work in the first place but now, I’m laid off because my work isn’t billable. Without warning. Without initiated compromise. If I was laid off for those tweets on my private twitter, that would mean that someone searched for something to challenge my role there. Maybe to stop me from working on a prized project or maybe just to put me in my place. In any event, they went out of their way to inflict their privilege on my livelihood because I made them uncomfortable and refused to be silent. Zora Neale Hurston, one of the inspirations of my free black womanhood, says “If you are silent in your pain, they will kill you and say you enjoyed it.” So I refuse to be silent. I will continue saying the names of those who have experienced physical death at the hands of white supremacy. I will continue lifting up and adding my voice with those pushing back on the very racism that will never be satisfied with our silence anyway. 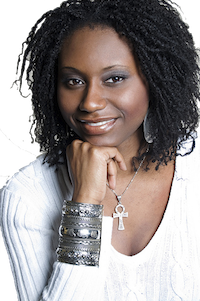 Uche Wogwugwu is a media professional and culture curator. Most known as the creator and outspoken co host of HipHopis4Lovers.com (HH4L). A weekly online radio show/podcast exploring the many platitudes of gender, sexuality and intimacy in Hip Hop. 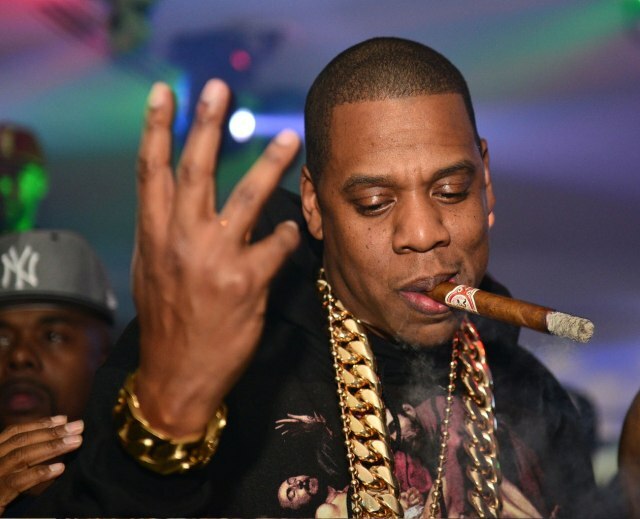 HH4L is presently on hiatus until the Fall 2015. Julian Bond was such an omnipresent civil rights figure that I can’t remember the first or last time I saw him in person. During the 1980s and 1990s, at the height of my news reporting days, I had countless interviews with Bond, who seemed to enjoy the company of journalists—especially black ones like me. I appreciated the fact that unlike so many others who lived in the constant glare of the public’s curiosity, he answered questions patiently, often with an insight into the civil rights history that he had played a part in writing. It seems now, upon hearing news of his death, that I thought he would always be somewhere nearby or just a phone call away. Maybe that’s why I never felt an urgency to celebrate Bond’s frequent comings and goings as they intersected with my own life and work: I assumed he’d be around forever. I’m sad to have been so wrong. At the end of a charmed life filled with an array of struggles and accomplishments, Bond died last Saturday in Fort Walton Beach, Florida, of complications of vascular disease, his wife Pamela Sue Horowitz toldThe New York Times. He was 75. Bond was a fixture in the civil rights constellation. 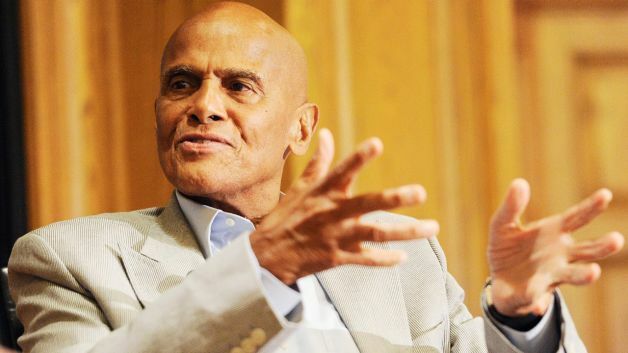 He burst into public life in the early 1960s as a preternaturally handsome and youthful Morehouse College student, who dropped out to co-found the Student Nonviolent Coordinating Committee, or SNCC, an upstart youth-led organization that challenged racist restrictions on public accommodations and voting rights. It’s tempting—and easy—to herald his sad, sudden, and surprising death as the end of something. But what has ended? The traditional civil rights era? Or the 1960s, a decade that was marked by the imposing strategy of sit-in protests? Or perhaps it’s the end of respectability politics—as it’s often derided by the restless youth of today—which seeks to work within existing power structures to bring about social change. I don’t believe that Bond’s death should be viewed in such a finite way. Instead, his life should serve as a road map for social change—one that can’t easily be folded and put away simply because he is no longer among us to lead the charge. Much like Bond’s SNCC of half a century ago, a new generation of young, energetic activists have taken to the streets today under the banner of the #BlackLivesMatter movement. The similarities are strikingly similar. Black Lives Matter activists have challenged traditional political leaders to include racial justice at the forefront of their platforms. That’s in the style of SNCC, which was far more aggressive and confrontational in demanding the desegregation of lunch counters and the registration of black voters across the South than the more cautious NAACP of its day. It’s too early to make definitive statements about the success or failure of Black Lives Matter. Perhaps, in time and through struggle, a striking figure in the mold of Julian Bond will emerge from the Black Lives Matter protests. This leader may seek to move from bullhorn agitation to voting compromise and collaboration within the larger political system. To be sure, nobody in 1961 could have imagined how young, smart, and articulate Julian Bond’s life would unfold. The same may be said of the emerging leadership of Black Lives Matter. Regardless of what ultimately comes of the contemporary movement, however, there is a lesson to be learned, remembered, and taught from Bond’s historic legacy. We didn’t plot it; we didn’t plan it. We didn’t say, “Now let’s work on this issue. Now let’s work on that issue.” The issues seemed to come to us. And we grappled with them and said, “Here is the best way to go about this thing. Here’s poverty. Here’s hunger. Here’s something else. Here’s absence of voting rights. Here’s inability to sit at the lunch counter.” All these things are both separate and connected. And we can easily handle them all if we develop a thoughtful campaign to do so. And we did. I heard him say similar things many times over the decades. Indeed, what I learned from Bond through years of observation and countless conversations is that the struggle for equality is a never-ending journey. And it assuredly won’t stop with this singularly noble activist’s passing. Sam Fulwood III is a Senior Fellow at the Center for American Progress and Director of the CAP Leadership Institute. His work with the Center’s Progress 2050project examines the impact of policies on the nation when there will be no clear racial or ethnic majority by the year 2050. *For more information or to speak with Mr. Fulwood, please contact Tanya S. Arditi at tarditi@americanprogress.org or 202-741-6258. With the passing of Nelson Mandela, media outlets have been flooded with the constant championing of his ability to forgive. However, the bigger lesson to be learned is, apartheid never had to happen. Apartheid was not a mystical occurrence; it was a fully planned and intentional mass oppression of a people. The same can be said for the current systematic creation of the permanent underclass. One of Mandela’s greatest wishes was that we never forget the millions of people around the world currently living in poverty and dehumanizing conditions. Forgiveness does not mean forgetting. Right now corporations and organizations like ALEC should be on the forefront of our minds. 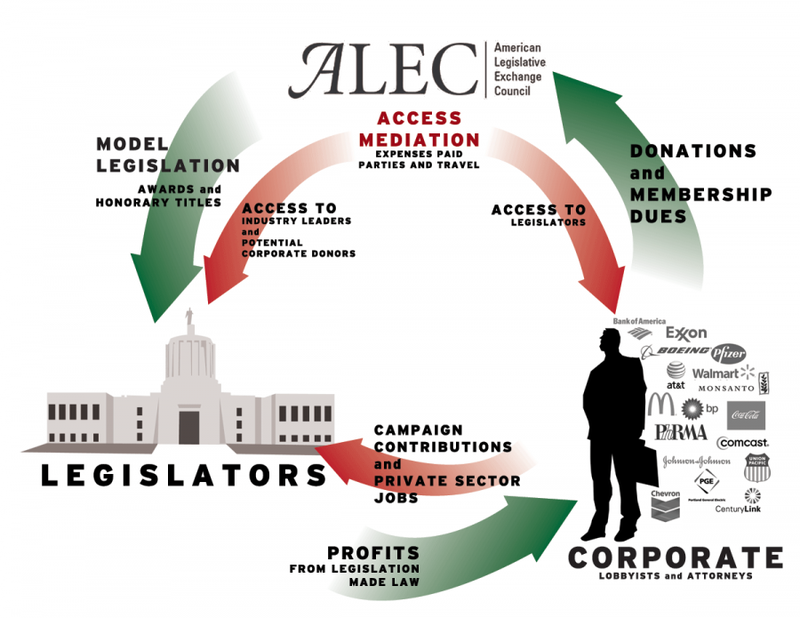 ALEC (American Legislative Exchange Council) is an organization of legislators, corporations and lobbyists that seek to control the global economy. In the 1980s, ALEC was a key organization that supported the South African apartheid regime and worked against divestment and sanctions. In 2013, ALEC engineers voter suppression laws, making sure that it’s harder for Black, Brown, Young, Old, Women and Poor people, to vote in U.S. elections. They do this in order to prevent laws like The Affordable Care Act from benefiting people with low-economic statuses. Laws like the Affordable Care Act, provide a wider opportunity for the poor to have economic upward mobility. This is a huge issue because it prevents corporations from sustaining the creation of a permanent underclass, which would allow for companies like Walmart and McDonald’s to continue their low-wage driven pay scale, thereby increasing profits. Though Walmart and McDonald’s both ended their membership with ALEC last year, they are still implementing the same policies among their workers which prevent economic stability. The poor remain poor due to their inability to access quality education, healthcare and other life saving resources. Poor education limits the earning potential of workers and substantially increases the chances of incarceration. Due to the fact that low-income wage workers can’t afford to shop somewhere else, they end up becoming consumers among the same companies and fast-food restaurants that try to suppress their votes. A cycle of poverty ensues leading to stress, violence, and the constant intake of low-priced highly processed foods. Consequentially, the top four causes of death for African Americans are heart disease, cancer, stroke and diabetes. 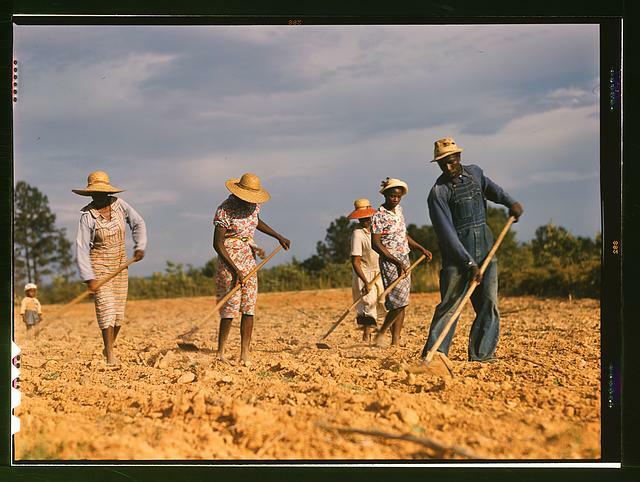 African American is not synonymous with poor, however many African Americans face historical prejudices which make it difficult for economic advancement. Furthermore, this issue goes beyond race. Though the construction of race plays an important role in social hierarchies, people of all races and various income backgrounds are susceptible to the underclass creation cycle. ALEC and other conservative groups use race-baiting and fear mongering to prevent unsuspecting voters from recognizing this until it’s too late. By the time voters realize that they’ve been hoodwinked, their home has been foreclosed on or a family member lost their battle with cancer due to lack of proper healthcare. Still, even these issues are first world problems. In other parts of the world, poverty can be viewed in the form of children dying from preventable illnesses like diarrhea. And though the world is often draped in luxury and decadence there are still people that die from starvation or spend their lives working 20 hr days in sweatshops and factories under the worst conditions imaginable. Mandela teaches us that our world doesn’t have to be like this. 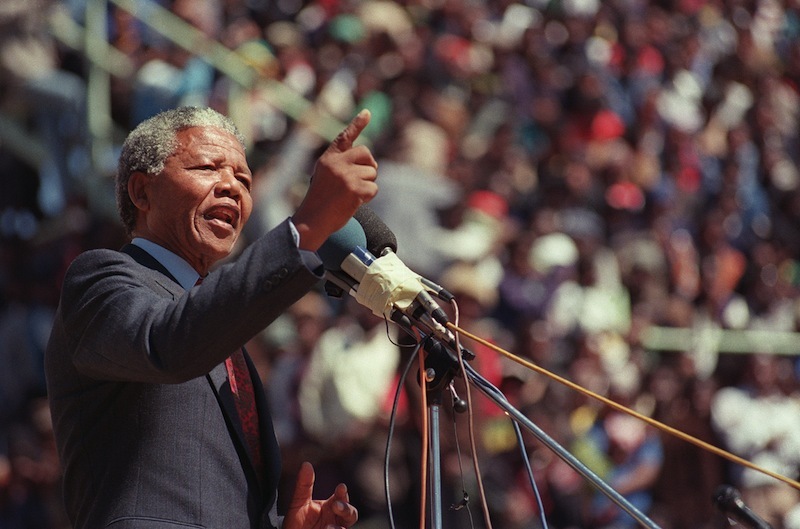 His fight against apartheid teaches us that we must not remain silent in the face of oppression. Yes he used forgiveness and reconciliation as a tool for healing a nation. However, forgiveness does not mean forgetting. Forgiveness and its blessings cannot be fully realized if the horrors of the past are white-washed, allowing for oppression to continue thriving in various forms. Though apartheid has ended, the battle against organizations like ALEC and corporations that economically oppress people around the world has never really ended. Mandela said forgive but he didn’t forget. And so in the tradition of freedom laid before us, let us not forget that there is still much work to be done.